this project is on the way on C2 i have done ! Status; can play , pause and some other commands were added. Sound/Noise/Protracker standard 31-instrument (MOD): M.K., M!K!, M&K!, N.T. I finised this work late night .. will out late this night ..
Not released yet.. minifiyin problem occured !! Intense CPU usage with galaxy fx and multichannel playing !! There dosnt seem to be any sound in the example. I've been looking for a plugin that plays it, xm and s3m for a very very long time! On what terms can one use this plug-in in a free or commercial project? Who should I put in the credits? 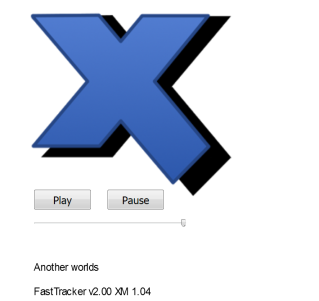 Firehawk from TDA did a new version of Protracker module player; this one can now play..
Protracker and Screamtracker... Impulse and Fasttracker are planned.. So i have quickly triyed the latest version on Protracker C2 plugin.. it's working now. Looks awesome, does this have any different features in compared to your Protracker plugin, and does one minify okay? > Looks awesome, does this have any different features in compared to your Protracker plugin, and does one minify okay?